Lonza is highlighting its integrated health and nutrition solutions for different life stages at this year’s Vitafoods Europe taking place in Geneva, Switzerland, where it will focus on supporting mobility across all ages. At booth G10, from May 7-9, Lonza will present its latest ready-to-go innovation concepts featuring UC-II® undenatured type II collagen for joint health, in combination with other trending ingredients. See our cutting-edge delivery solutions for science-backed specialty ingredients from Lonza and Capsugel. We provide innovative dosage forms and solutions to healthcare customers around the world. An app that will guide you through a selection process and allow you create and view your capsule in 3D, but also save it in your personal basket for later review, as well as easily share it with additional decision-makers. Capsugel designs, develops and manufactures a wide range of innovative dosage forms for the biopharmaceutical and consumer health and nutrition industries. 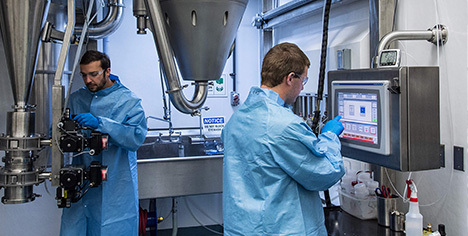 Our proprietary and patent-protected technologies, our unrivaled expertise in capsule polymer science, and our product and process design capabilities help our customers meet their target product profiles and commercial objectives, while allowing rapid development across a wide range of dosage forms. Ready to discuss your challenge with our experts?